Quite a short ground again but as usual with far wider connotations. 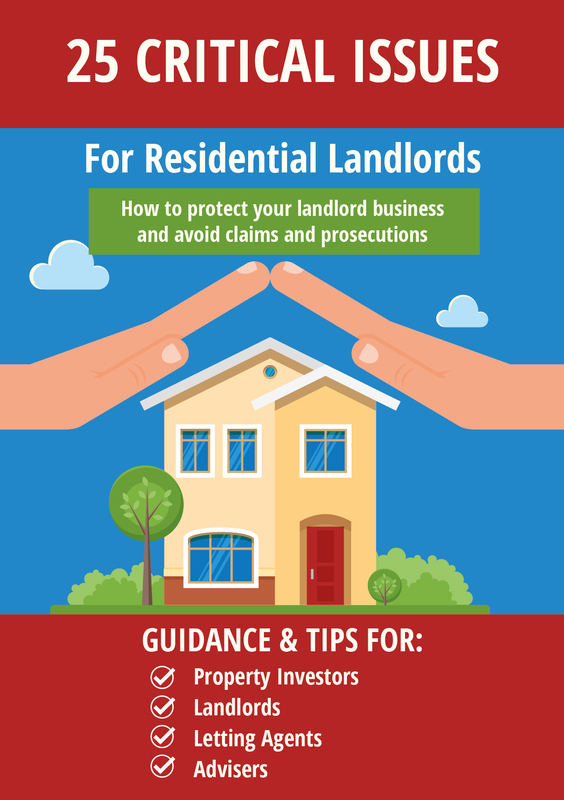 First thing to note is that although most tenancy agreements will contain a clause saying that the tenant should ‘pay the rent on time and in the manner specified’ this ground cannot be used for rent arrears. Note the two terms in there “Has been broken or not performed”, so effectively there are two wings to this, things the tenant has done and things they have failed to do where both are an obligation on the tenancy itself. In the first instance we are looking at such things as sub-letting or changing the locks in breach of the agreement and in the second wing things like failing to maintain the garden or keep the drains and gutters clear. However this simply worded ground is still fraught with problems in practice. “A standard term is unfair ‘if, contrary to the requirement of good faith, it causes a significant imbalance in the parties’ rights and obligations arising under the contract, to the detriment of the consumer”. The consumer under this legislation being the tenant. Tenants have the right to use a property in a ‘Tenant-like manner’, so for instance having a clause saying “No parties allowed” may be difficult to enforce. It’s a perfectly tenant-like thing to do but the nature of the party and how it is managed could be the issue. For instance, inviting 12 people around for wine and cheese is a different ballgame from getting in the sound systems and ‘Avin it large’ as they used to say. Having said that, if your house is detached and situated in a field miles away from the nearest neighbours is it still a problem? If the partygoers cause damage to the property then that is covered by a different ground, as would be noise nuisance to neighbours. Failing to maintain the garden is a fairly common complaint I have come across but it raises questions about the standard the garden is to be maintained at, whether or not the tenant is expected to purchase their own tools for doing so and whether or not they have the physical capacity to do so. I once worked as a Consultant for a London authority’s social lettings agency and went out on a sign-up with a new tenant of a PRS property. The garden had not been touched in years, was filled with waist high undergrowth and was at least 100 feet long. The tenant had a 2 month old baby and was partially disabled. Should the landlord attempt to seek possession for failure to maintain the garden numerous legal arguments could be raised. Advocates should look at the OFT guidelines to see if the clause that possession is being sought on under this ground is a fair term in the first place. Quite a common insertion that advisers see regularly states “The landlord and the tenant can give each other one month notice to leave” but this can go against the statutory provisions for possession proceedings and prove unenforceable. 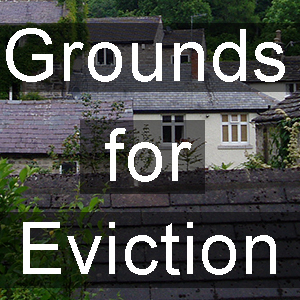 Don’t lose sight of the fact that even if proven this is still a discretionary ground and the judge must consider whether it is reasonable to grant possession, so look at the nature of the breach, the reasons for it and how the landlord may be prejudiced by it. As Ben says, this is a discretionary ground (see my post here) and subject to the Judge’s discretion. So even if the clause is not unfair and the tenant is proved to have breached it, no Judge is going to evict someone for breaching something which is relatively minor – such as using blue tac on the walls or not getting the windows cleaned every month. 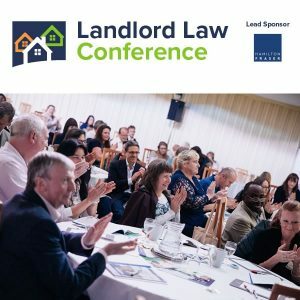 They are far more likely to be annoyed at the landlord for bothering them with such a case and may even penalise the landlord in costs if they think the case was particularly unmeritorious – even if the tenant was technically in breach. Costs are after all always in the discretion of the Judge. Even if a Judge does make a possession order, unless the breach is extremely serious (removing a wall maybe, or using the property for criminal purposes) the order is going to be suspended on the basis that the tenant refrains from doing what-ever-it-is again. 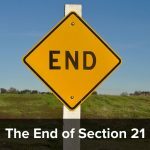 Landlords wanting tenants to be evicted within the foreseeable future should forget about ground 12 and wait until they can use section 21. « How can this tenant find out who his landlord is? And would Equality Act / HRA considerations apply here too? I would have thought so. Assuming that you can prove that the eviction is based on illegal discrimination. But I don’t know for sure. What makes either of you think a tenant is responsible for keeping the gutters at a property clear, for example, of leaves or moss that birds have scuffed down into the gutters? Nothing apart from a S21 or a S8 can be depended on whatever the tenant does.